Taking advantage of Xi's visit, Italian firms inked deals with Chinese counterparts worth an initial 2.5 billion euros (£2.12 billion). Di Maio said these contracts had a potential, future value of 20 billion euros. 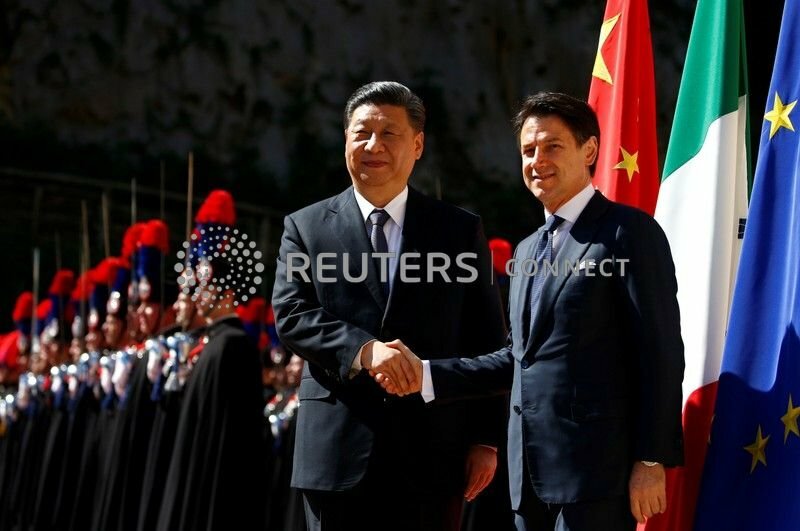 There was not even universal backing for the BRI agreement within Italy's ruling coalition, with Deputy Prime Minister Matteo Salvini, who heads the far-right League, warning against the risk of China "colonialising" Italian markets.